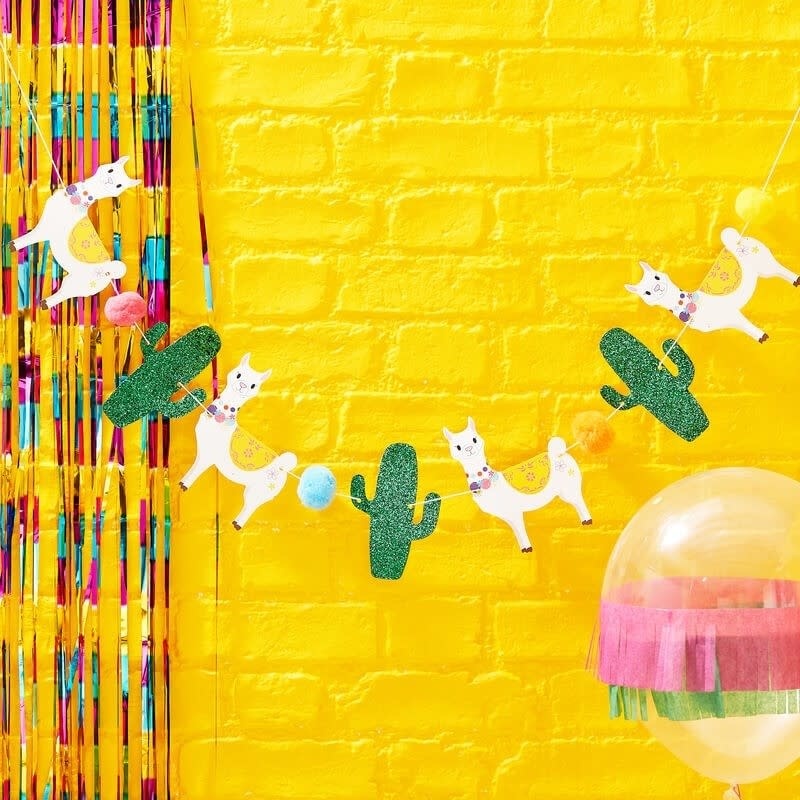 Decorate your Mexican themed party with our fun glitter and pom pom bunting to wow your guests. 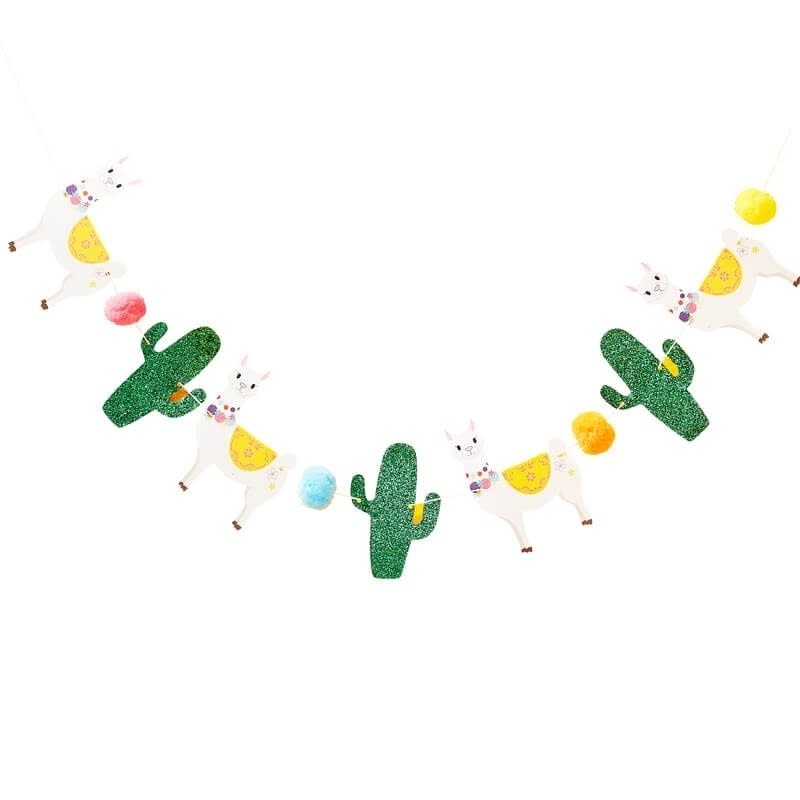 This cute fun bunting has green glitter cactus, Llama and multi coloured pom poms. The bunting is easy to hang and can be hung on walls, doorways and furniture. pair with a Cactus balloons for a fiesta to remember!